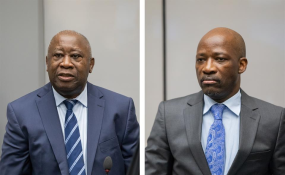 bagbo and his co-defendant Charles Ble Goude were acquitted of crimes against humanity on January 15, but the ICC refused to release them until a host country was found. Last month’s acquittal has intensified criticism of the ICC, which has convicted only four people in nearly 20 years of operation. One of them—former Congolese vice-president Jean Pierre Bemba—was later acquitted on appeals.